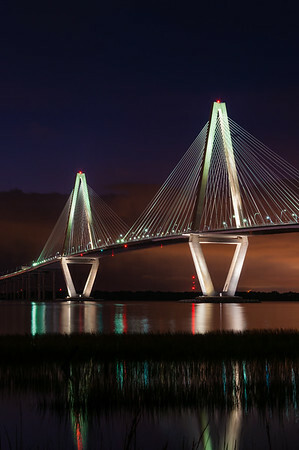 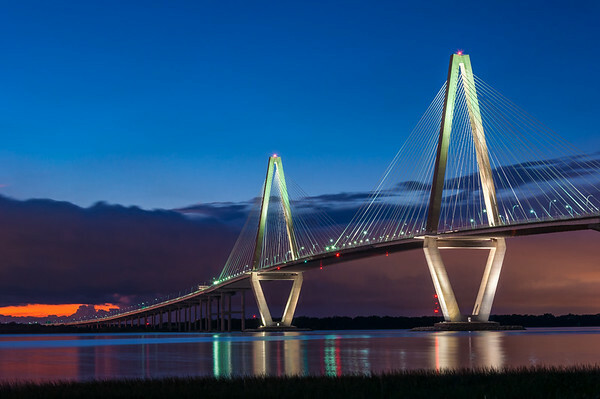 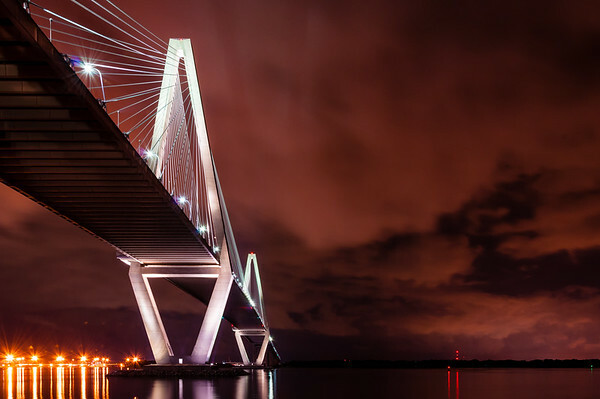 Long-exposure shot of the Ravenel Bridge about an hour after sunset. 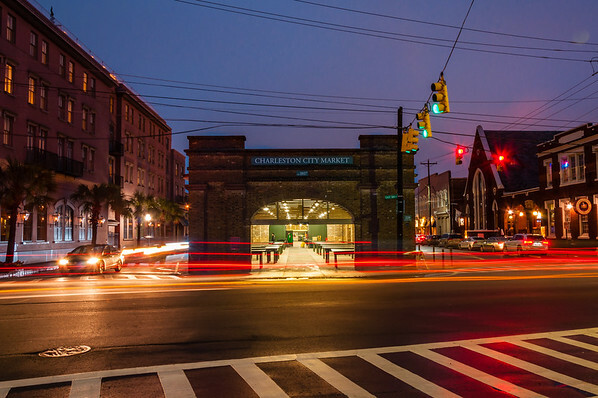 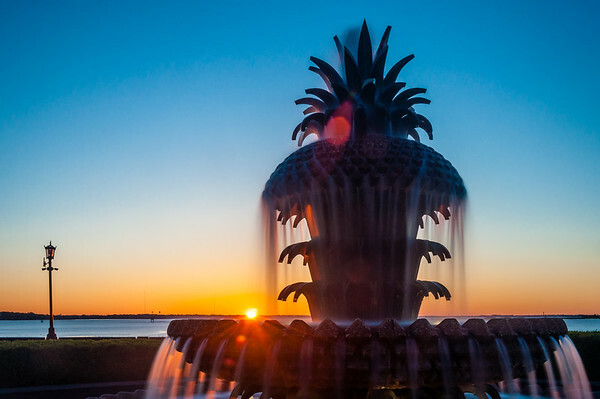 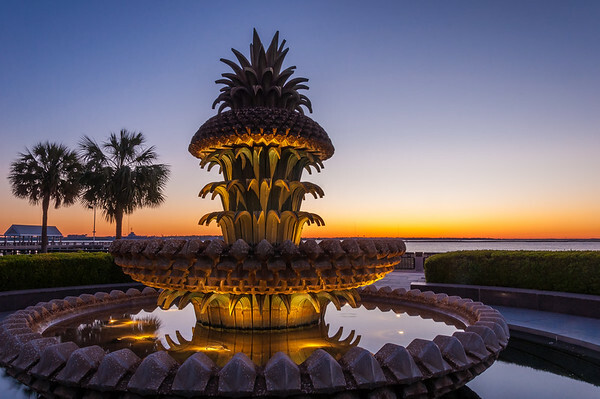 Long exposure of cars flowing through East Bay Street in front of the Charleston City Market. 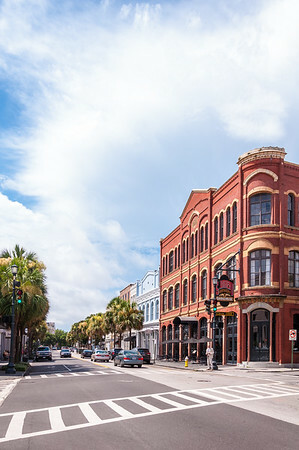 Glancing down East Bay Street at Southend Brewery shortly before a Summer storm rolls in. 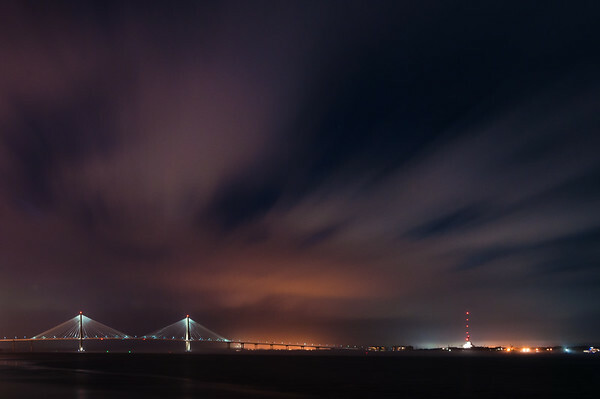 Long exposure of the Ravenel Bridge shortly after sunset on a windy day. 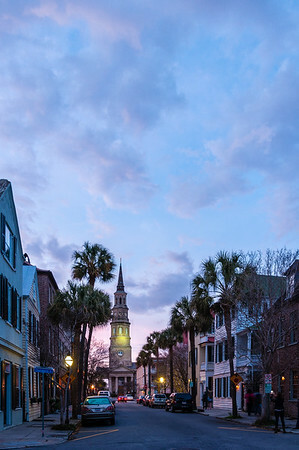 Saint Philip's Church just after sunset. 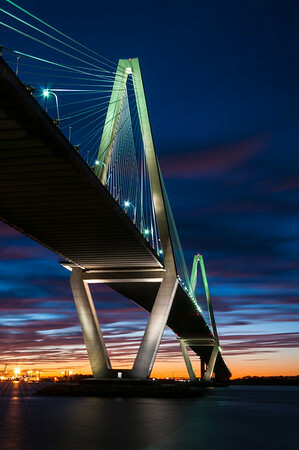 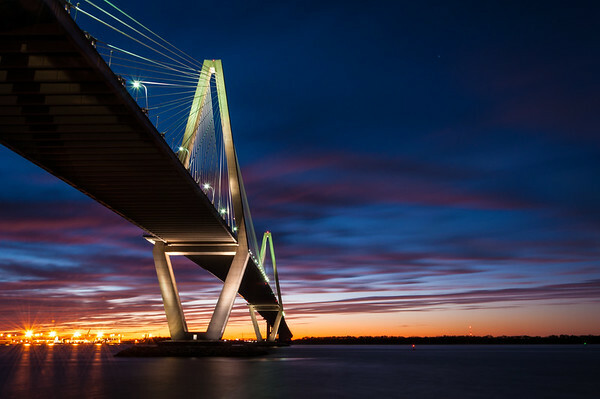 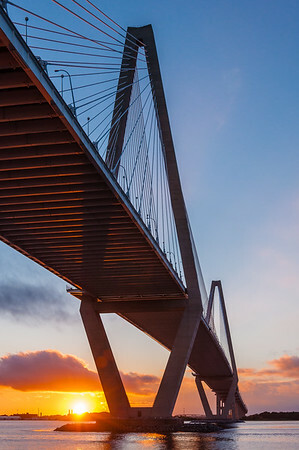 Profile of the Ravenel Bridge shortly after sunset. 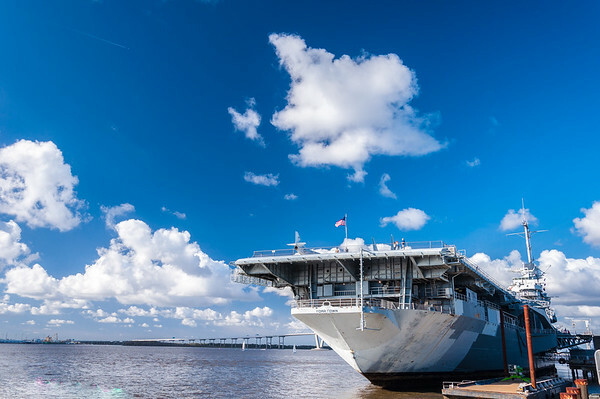 The USS Yorktown docked at Patriots Point in Mount Pleasant, SC. 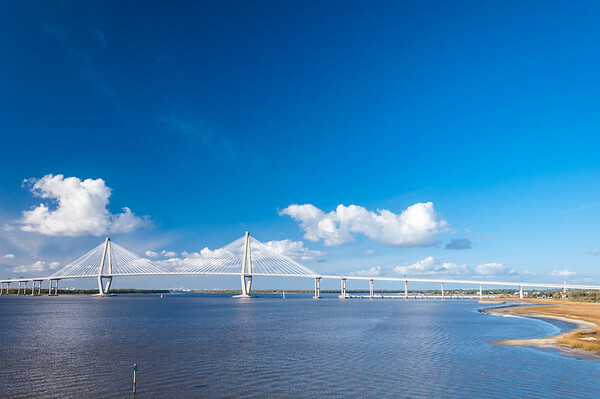 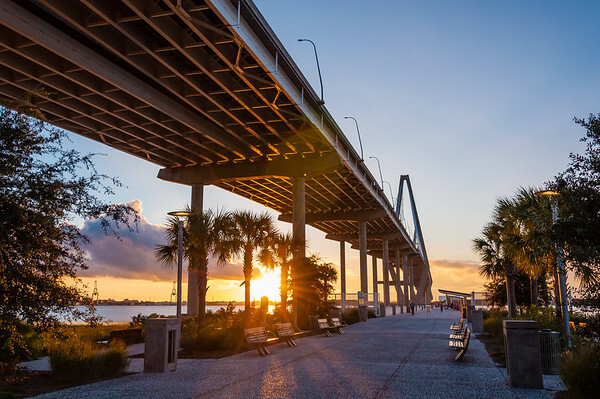 A beautiful blue sky over the Ravenel Bridge on a warm November day. 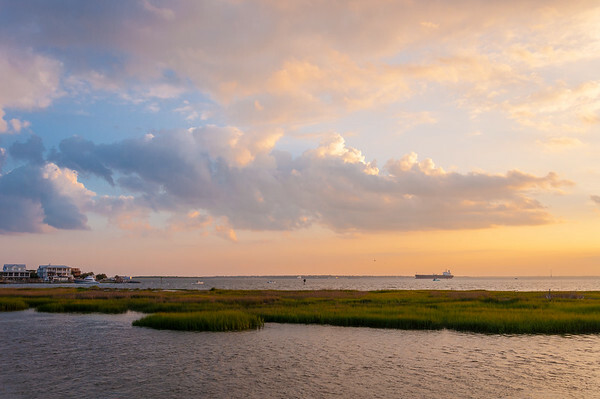 Shot from the bow of the USS Yorktown at Patriots Point.